Simple yet fun and additive app game!!!! **************************** Quiz your gaming skills including reaction, reflexes, stamina, hand-eye coordination, all with a simplistic and energetic physics app! **************************** HO...MoreSimple yet fun and additive app game!!!! **************************** Quiz your gaming skills including reaction, reflexes, stamina, hand-eye coordination, all with a simplistic and energetic physics app! **************************** HOW TO PLAY: Simply tap the screen to open the ball release doors. 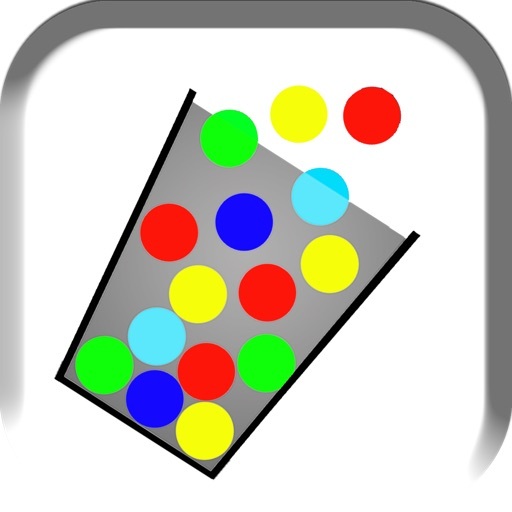 Fill your cups and collect points to score the Highest on the Game Center. Cups that are not filled will be released and lost! Cups change colors as you increase in points and levels! Game gets fast! Fantastic short game play! Enjoy!